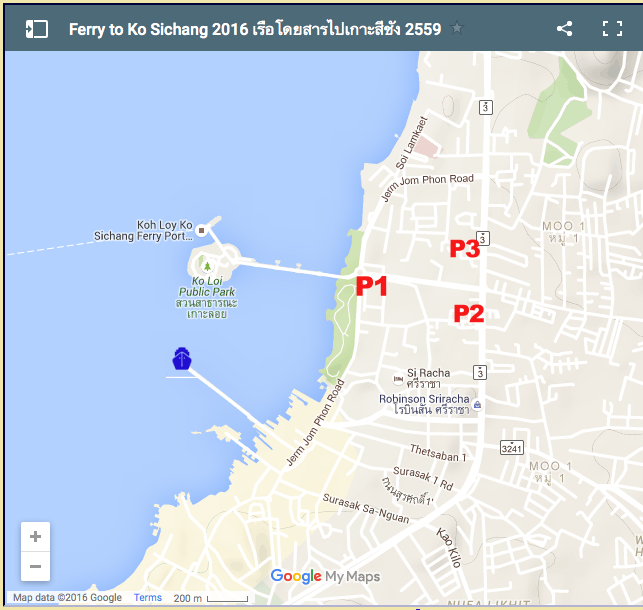 Ferries do not leave from Ko Loi as shown by Google. They depart from the pier where you see the blue boat symbol. There is parking available at markers P1 - P2 - P3. Click markers for details (not much info available so far).